Comes with 40+ songs, melodies and lullabies! LeapFrog My Pal Scout gives learning a personal touch. My Pal Scout is an adorable, cuddly pup that introduces children to words, counting and feelings through 14 activities. The benefits of interactive playtime with My Pal Scout include motivation, positive exploration and engagement. 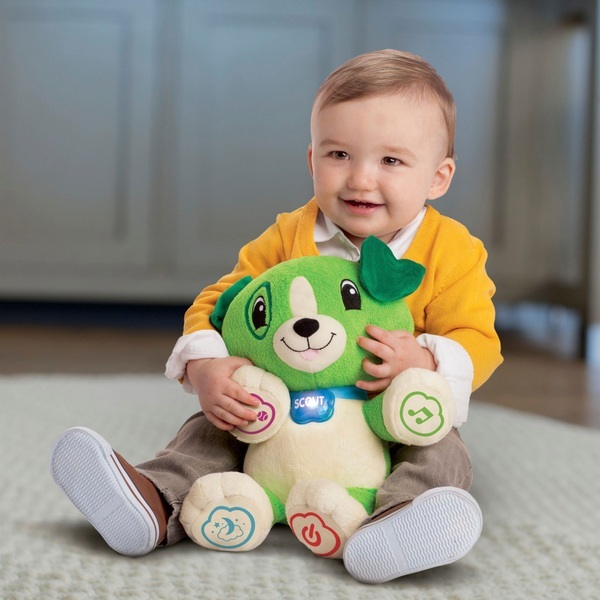 My Pal Scout has super-soft fur and four touch points that respond when pressed, encouraging children to interact as he talks to them and leads them in learning and nurturing activities.